An investigation of the microbial environment at Laguna La Brava in Chile may suggest that novel microorganisms might be at work in the absence of cyanobacteria, according to a study published November 15, 2017 in the open-access journal PLOS ONE by Maria Eugenia Farias from Laboratorio de Investigaciones Microbiológicas de Lagunas Andinas, Argentina, and colleagues. Researchers have recently been interested in the role microorganisms play in geological processes. Microbes' metabolic activities alter their microenvironment and can sometimes induce processes such as mineral precipitation and dissolution. 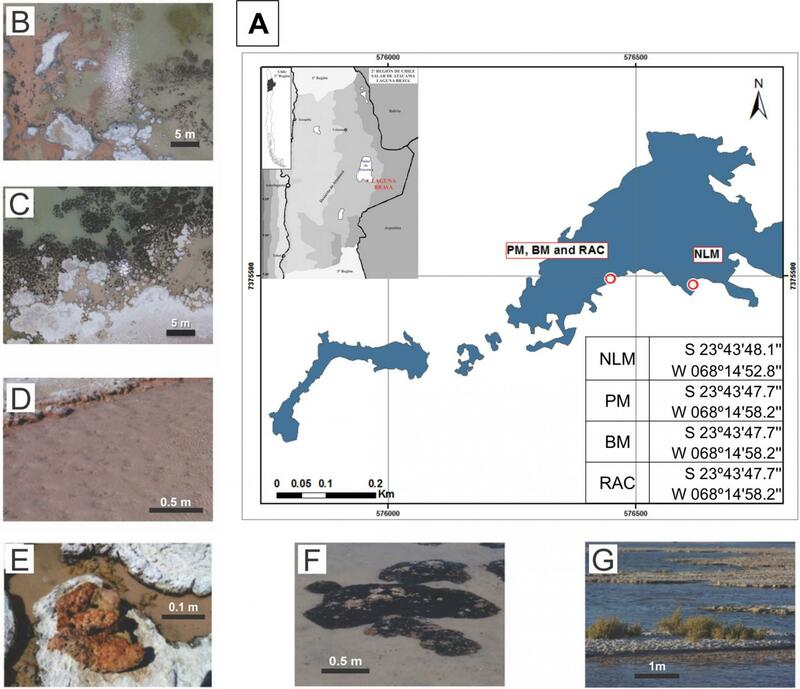 To learn more about microbes' interaction with their environment, the authors of the present study investigated the microbial environment of Laguna La Brava, Salar de Atacama in Chile. This lake has microbial communities growing in extreme conditions including high salinity, high solar insolation, and high levels of metals such as lithium, arsenic, magnesium, and calcium. They collected bacterial and water samples from several distinct ecosystems near the lake, including a multi-layered sheet of microorganisms known as a microbial mat, a living rock carbonate structure, and a hard compact mass formed from precipitation, and compared them to each other. The researchers found that Euryarchaeota, Crenarchaeota, Acetothermia, Firmicutes and Planctomycetes were the most abundant bacterial and archael groups. Surprisingly, they found little or no cyanobacteria in any of the ecosystems. Since cyanobacteria are usually an important producer of microbial mats, the authors suggest that there may be other microorganisms that are responsible for precipitating minerals in these ecosystems. Further research at these sites might reveal novel organisms and metabolisms of biotechnological interest. Funding: This work was supported by Centro de Ecología Aplicada Chile and the projects PICT 1788 and PICT 3825 from MinCyT Argentina to MEF. PTV acknowledges support from NASA Exobiology CAN NNX12AD64G.